Five Free Drug Store Coupons - Save up to 75%! 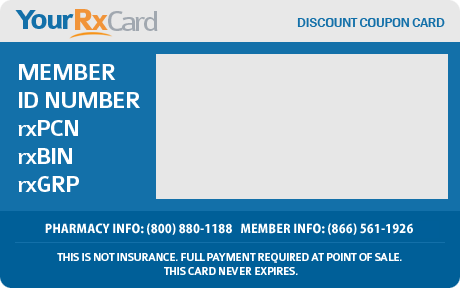 Please print and present this repeat prescription coupon discount card to your Pharmacist. For a free personalized drug card click here. For Drug Manufacturer Coupon Advertising please contact us here.